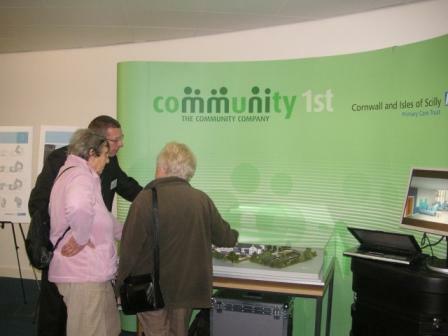 Members of the Community 1st Cornwall team spent the day at the Cornwall and Isles of Scilly Primary Care Trust Health Fair in Truro on Wednesday 14th November to show the public the plans for the proposed new Health Park in Truro. 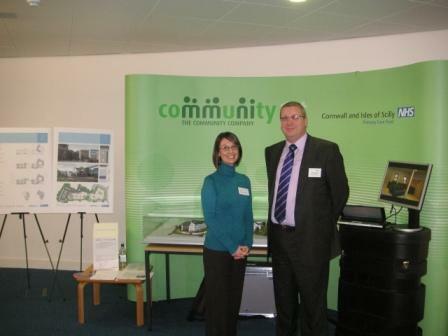 The event took place at The Knowledge Spa, on the site of Royal Cornwall Hospitals Trust in Truro, and was an opportunity for the public to view the 3D fly through of the new development, as well as the plans and a scale architectural model. The 3D fly through shows the views around the site and takes viewers through the front doors to explore the main waiting area and into various treatment rooms to give them a feel of what the new development will be like.